Owned and managed by the ‘Yoga in Daily Life Society,’ a not-for-profit organisation, the Centre, located at 117 Arthur Street, will be inaugurated at 10 am with Special Pooja, followed by speeches, a cultural programme, planting of a ‘Peace Tree,’ and vegetarian lunch. 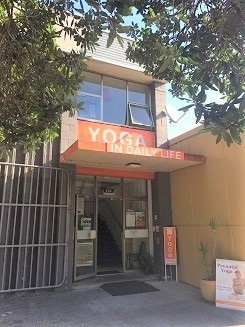 Established in 2010, ‘Yoga in Daily Life Society’ has been operating from a temporary location in Onehunga, conducting Yoga classes and other activities. A press note said that Yoga classes will be conducted at the new premises daily for the convenience of students and enthusiasts. 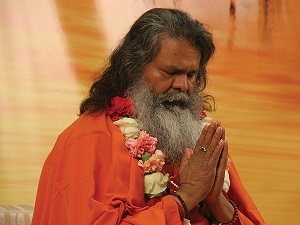 “The Centre- our Ashram, accommodates a larger hall for practicing Yoga, and is located in the Onehunga Town Centre with good car park facility nearby. In addition to classes for a variety of levels of experience, the timetable includes Discounted Classes for $10; Gentle Classes for Seniors for $5, and free Full Moon Meditation and Spiritual Gatherings to support the local community,” the note said. The Centre will conduct a series of Workshops, Lectures and Meditation Sessions on Chakras, which are energy centres in the human body. These will be led and guided by Yoga Master Paramhans Swami Maheshwarananda. These will be held in Auckland from March 11 to 17, 2019, in Wellington (23, Jessie Street, Te Aro) from March 8 to 11, 2019 and in Raumati (20 Alexander Street, Raumati Beach, Paraparaumu) on March 6 and 7, 2019. Yoga in Daily Life Society of New Zealand has been involved in health and wellbeing of New Zealand communities for more than 25 years. The ancient wisdom describing how to balance body, mind and soul is brought to people of all walks of life through Yoga classes and programmes in Auckland, Wellington and Kapiti. Divided into an Eight-Level Master System, the teachings have helped thousands of people to regain physical, mental social and spiritual health. Vishwaguru Mahamandaleshwar Paramhans Swami Maheshwarananda brought the teaching of his lineage to Europe about 50 years ago, and from there it has spread to 24 countries, promoting health and wellbeing, world peace and spiritual development and humanitarian projects. ‘Yoga in Daily Life’ means upholding the precepts of Yoga teachings in daily life by making positive contributions to one’s society, the environment and all living beings. Authentic and traditional, the Programme is designed to meet the needs of the modern times. It is a holistic system of health, encompassing the science of body, mind, consciousness and soul. The message promoted by the Centre, is “Understanding, respect and tolerance among nations, cultures and religions, non-violence, protection of nature and the environment and of all living beings.